If you have anything that you think reader's of anderson + grant would enjoy seeing, feel free to send me an email or a message on Facebook for a chance to possibly be featured here in an upcoming post. 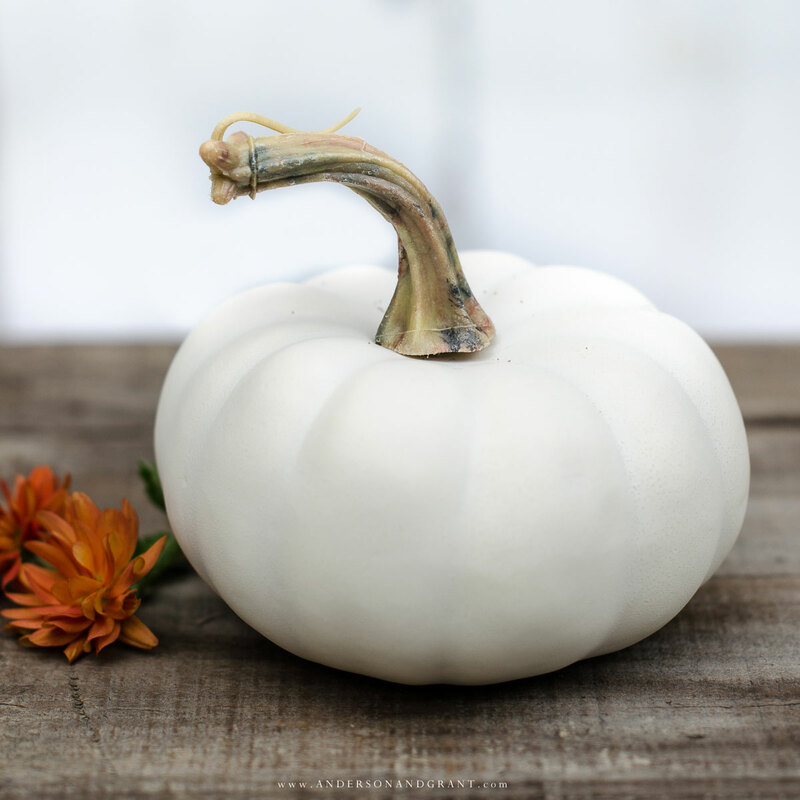 For today's post, I decided to focus entirely on fall and all the creative decorating ideas, DIY projects, and recipes that I've been seeing. You can click on either the images or the links in the descriptions to learn more. As a courtesy to the talented bloggers whose images appear here, please visit the links to their posts below to pin rather than pinning from here. What links have you found that were inspiring this autumn? 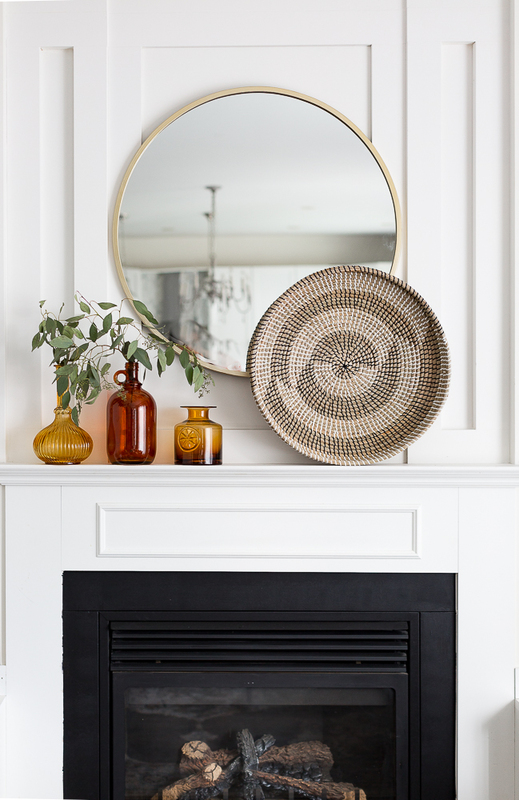 Lucy from Craftberry Bush always inspires me with her decorating ideas, but I really fell in love with her simple and modern fall mantel this year.....it is just one of three decorated mantels that she shows in the post. 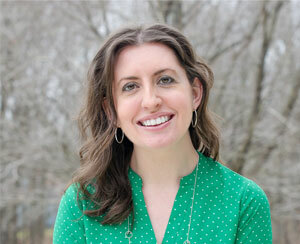 Another modern fall idea today comes from Alicia at A Burst of Beautiful. 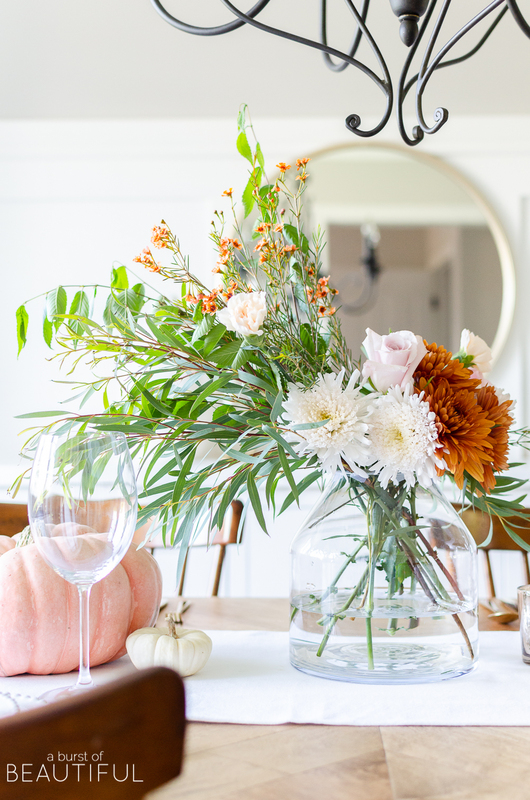 She created a asymmetrical flower arrangement as a centerpiece for her fall tablescape. It really catches your eye and inspires me to think outside the box when decorating. Michael from Inspired By Charm always seems fearless when it comes to trying new things whether it is in decorating or sharing different recipes. 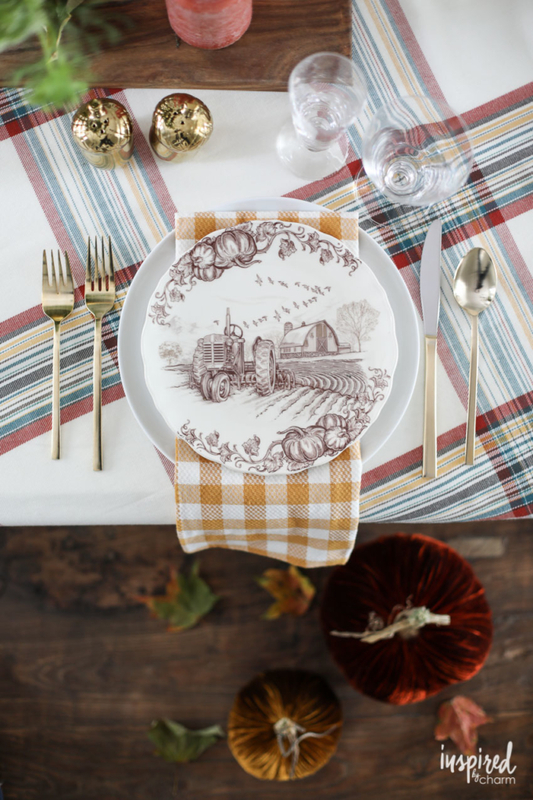 When designing his dining room for fall recently, he set a table that mixed patterns and colors that many might shy away from.....but it all coordinates so well together by the time he is done. Don't you love those plates he used? Anytime you put something under a cloche it seems more important. 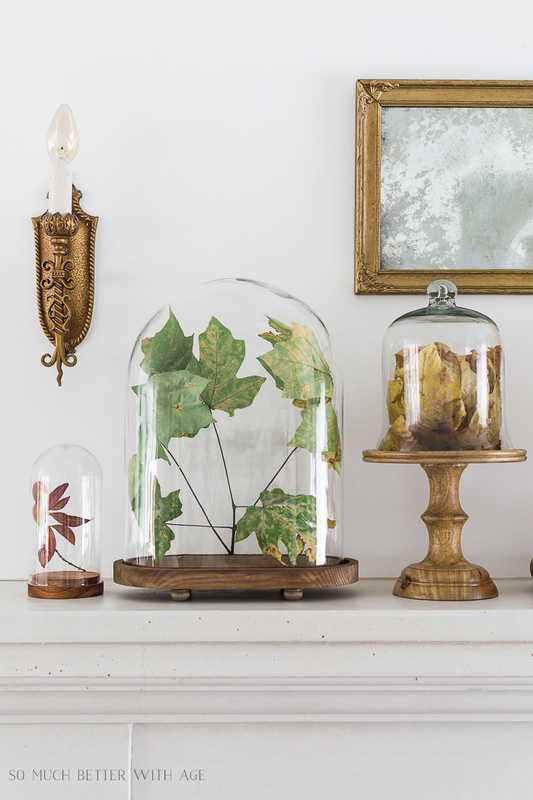 Jamie from So Much Better with Age shows here that even a single branch of leaves can stand on its own when displayed under a glass dome.....and it is even prettier when done in multiples as she has done across her mantel. 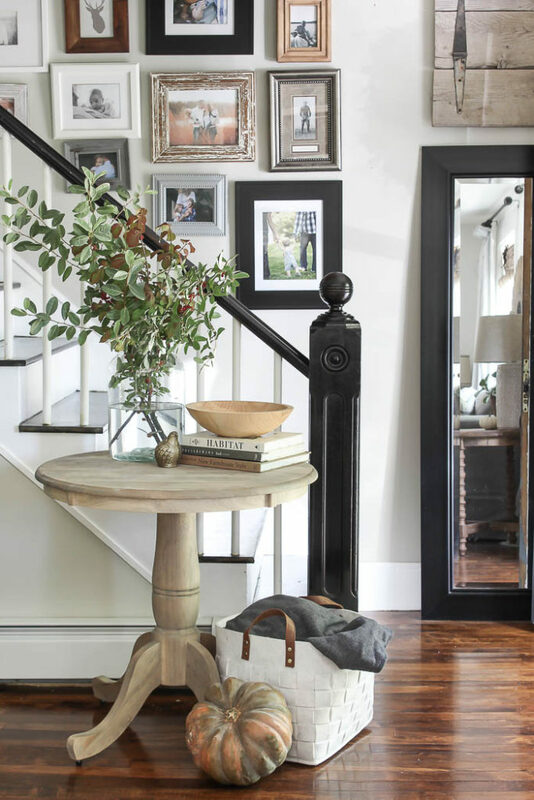 Another example of how pretty it can be to decorate simply can be seen in Bre's entryway over at Rooms for Rent Blog. While her entire house tour is inspiring, I was most drawn to this space where a single heirloom pumpkin and branches of green branch clippings is all she needed to decorate for fall. Finally, a little something to tempt your tastebuds. 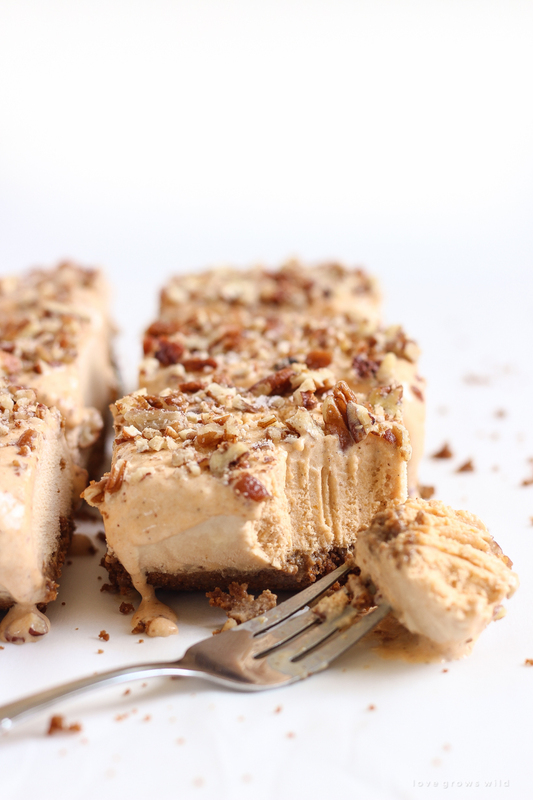 Doesn't this picture of pumpkin ice cream bars from Liz at Love Grows Wild make you want to pick up that fork and take a bite? This is definitely a recipe I want to try. | If easy craft projects are your thing, this DIY Fall Wreath is one that you'll want to check out. Simple, and stylish. | And if fast craft projects are what you are looking for, then this Fall Art is for you, taking just 47 seconds to complete. | These concrete pumpkins are well beyond perfect in my opinion. | These free printable recipe cards are a must to download for keeping track of all the new fall recipes you want to give a try. | These little Apple Pot Pies look so good......and I'm happy anytime I can be served something all my own. | This basket was in my shopping cart last fall. Then I took it out and have regretted it since. Do you think I should take advantage of this second chance?